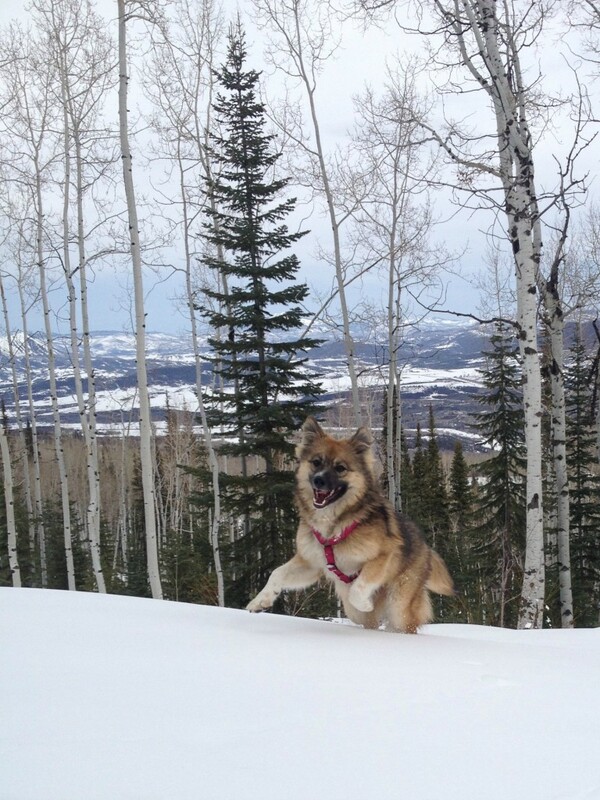 Foxy and I spent the weekend in Steamboat Springs visiting some dear friends. This is how I know they are dear friends. Sure enough, Foxy had gotten up on the counter and dragged an entire flank of delicious red meat down to the kitchen floor, where she was helping herself. Absolutely mortified, I sprang into action, grabbing the puppy and swatting her nose – “Bad dog! Bad dog!” Then I lifted all 35 pounds of her and carried her upstairs where I forcefully locked her in her kennel. “Bad dog!” I scolded one last time, and then headed back down to join the dinner, embarrassed and disgraced – because it’s an odd thing to feel responsible for a living, breathing creature that you actually sometimes have no control over. When I arrived back at the table spilling over with apology, PJ shrugged his shoulders and said, “Ehhh, we threw it back on the grill. Nothing that 500 degrees won’t kill.” And when he brought it back to the table, we ate it anyway. And the next morning when we went for a hike, Foxy, still drunk on red-blooded protein, grabbed joy by the jugular and LIVED IT UP. Girl needs her iron! Go Foxy! Those are AWESOME friends! Love the pic of Foxy!!! Oh my goodness she is so BIG! !